We are Unity (formerly Unity Enterprise). We are a Scottish Charity and Social Enterprise founded in 1989. Over the years we have provided a variety of support services to people who are vulnerable, disadvantaged or a risk of exclusion across the West of Scotland. 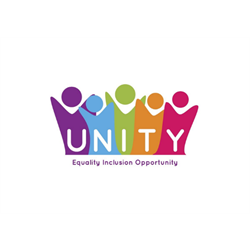 We believe in fair and inclusive communities where everyone is valued and has opportunities to fulfil their potential. This takes many forms and we are always looking for new ways to support our fellow citizens and widen our impact.